First “A+” in Junior High! 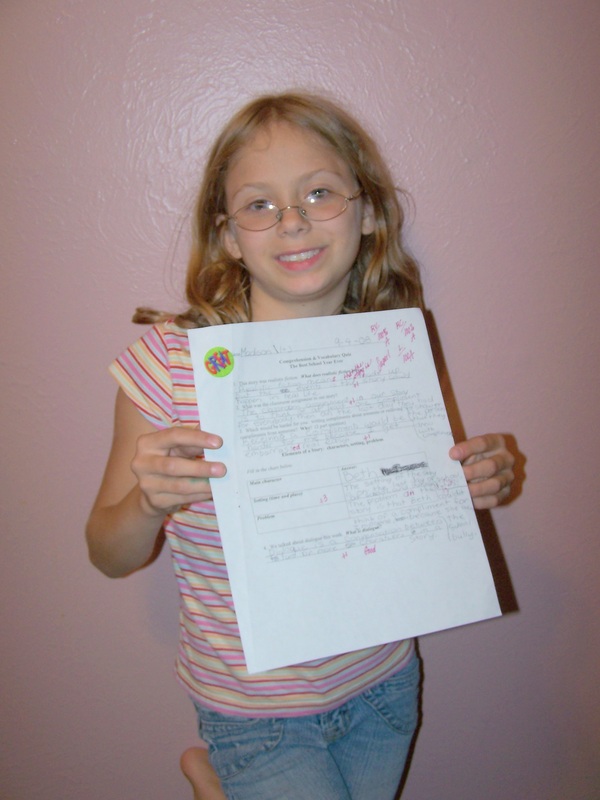 Madison got her first A+ (100%) in Junior High. This was her first test ever in her new school. She was so worried about this first reading test. She didn’t know how they would be grading in the new school. I knew she didn’t have to worry. She is very smart and does well in all of her subjects. It is still very rewarding to see her start off this year so well. I am sure she has many more A’s in her future.